AEW Capital Management is looking to sell its boutique office building at 360 Lexington Avenue asking just shy of $200 million. 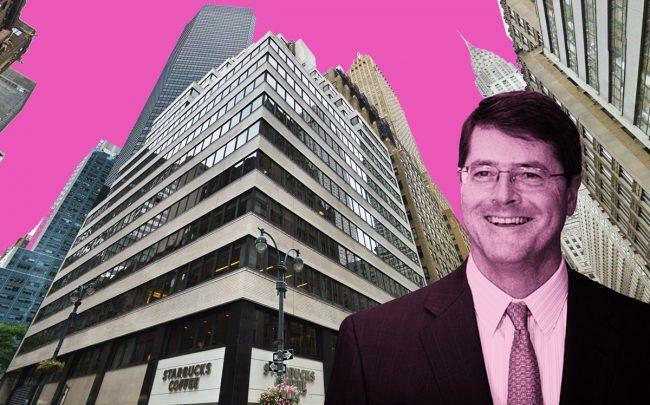 The Boston-based investment firm, headed by CEO Jeff Furber, put the 26-story building at the corner of Lexington and East 40th Street on the market with an asking price around $190 million, sources told The Real Deal. The pricing works out to a bit more than $700 per square foot. A representative for AEW could not be immediately reached for comment. An Eastdil Secured team of Brett Siegel, Evan Layne, Gary Phillips and Rachel Humphrey has the listing. The brokers declined to comment. AEW purchased the 1950s-era building from Himmel + Meringoff for $129.5 million in 2008 – a time during the Great Recession when few buyers were opening their checkbooks for big-ticket deals. After purchasing the building, AEW renovated the lobby and updated the building’s mechanical systems. The wedding cake-style building has a series of setbacks above the 11th floor, about half a dozen of which can be converted into outdoor terraces. AEW owns the property through one of its core funds. The building is 82 percent leased to tenants like Webster Bank. Earlier this year, AEW teamed up with Josh Schuster’s Silverback Development to buy the under-construction residential building at 24-16 Queens Plaza South in Long Island City for $40 million.